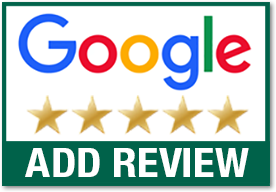 With every spring repair, Precision provides a free safety inspection to make sure all the hardware and moving parts on your door are in good working condition and meet safety standards. Since the hardware was probably installed at the same as the springs, it's possible there are worn mechanical parts on your door that are in an unsafe state. 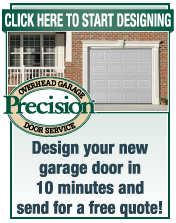 Think about spring failure as a symptom to a possibly larger problem with your door. This is why it's a Precision Best Practice to provide a free 25-point safety inspection to maintain a safe environment for our customers. Just like car tires are rated by miles, garage door springs are rated by an estimated number of cycles (1 cycle = your garage door going up AND down 1 time). The springs used by our competition range anywhere from 5,000-10,000 cycles, whereas we use a high-grade steel spring rated for 25,000-50,000 cycles! You can trust the springs we use because they have been tested. 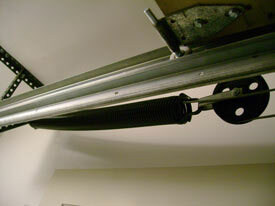 The most common question we get over the phone is, "Okay, so how much does it cost to replace garage door springs?" To give you an exact price quote, we would need to know the size of the door, weight, and type of garage door springs needed (torsion or extension). 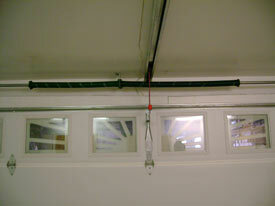 We carry over 30 different types of springs for all the different types of garage doors. A Precision technician will need to take the proper measurements himself before giving you an exact price quote.